Ever wanted to radically change your life but didn’t know where to start? PumpUp’s @Tweetii is here to help. 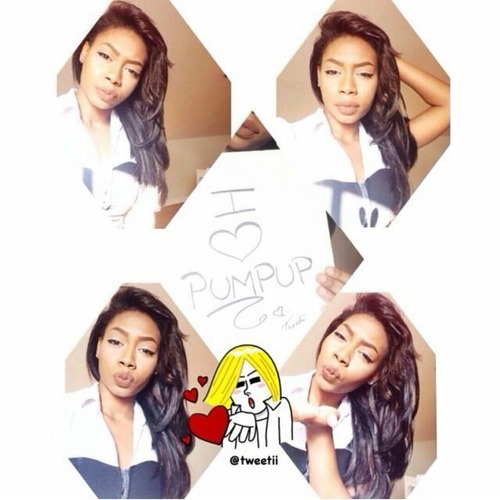 She’s one of our most encouraging and supportive members, and she has come a long way since she joined the PumpUp community. “I joined PumpUp in May 2014 because I was overweight, unhealthy, suffering from 2 ovarian cystic tumors, and wanted to make a difference in my life,” she explains. 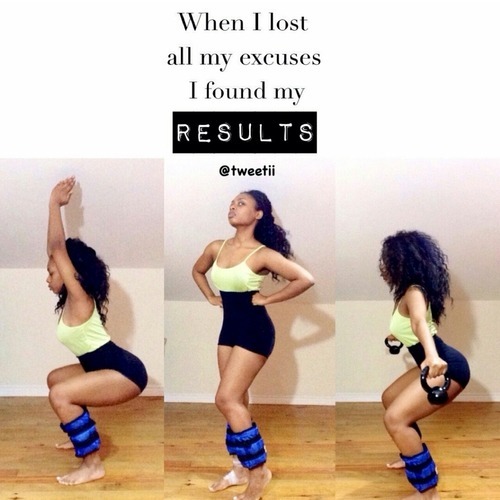 “I was tired of making excuses.” Learn how she got her start below! Portion control is a habit that many people contend with throughout their health and wellness journeys. 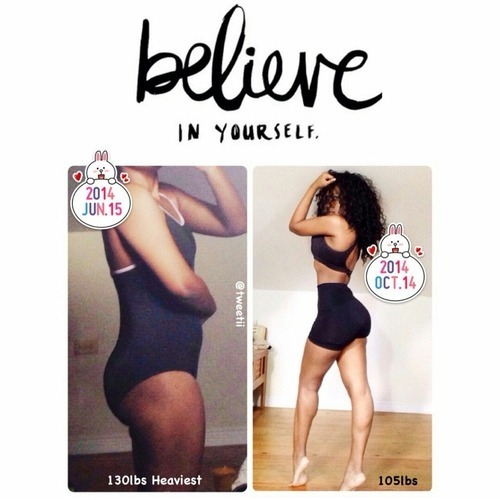 Tweetii committed to be more mindful of her meals after joining PumpUp. “[Before], I ate triple cheeseburgers, three-piece chicken combos, and everything under the sun,” she confesses. 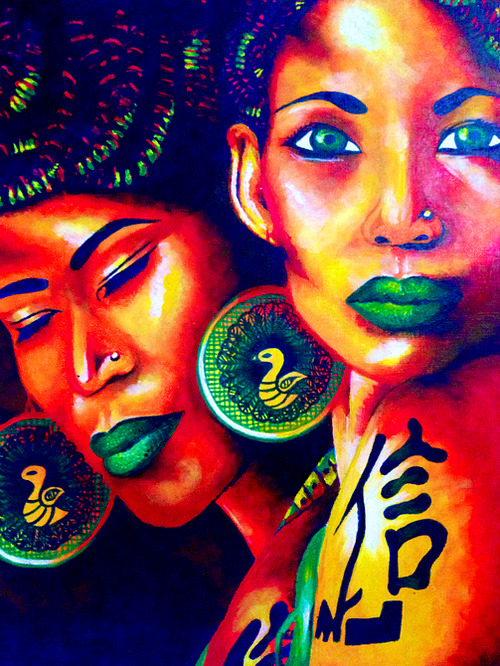 “Being Trinidadian with a Venezuelan heritage, I love wholesome Caribbean and Latin American food. I only ate big portions.” Her lifestyle was overwhelmingly sedentary, as she’d work at home as an artist without much activity throughout the day. If you can count on somebody to make your day on PumpUp, it’ll easily be Tweetii. Every week, she strives to post at least one physical tip, one spiritual tip, and one motivational quote. She truly looks out for each member’s wellbeing in a holistic manner. Tweetii is a digital and visual artist in her country, and the content on her PumpUp page reflects that! “I juggle designing magazines, working with companies and painting. Art is my passion! Hence why my posts are always artistic and fun!” she explains. “The best advice I have to PumpUp members looking to lead a more active life is to not excessively concentrate on calories but to put your main focus on chemical intake,” she urges. “Organic and fresh is the way to go.” This includes minimizing or even eliminating the consumption of processed and packaged food. Tweetii’s biggest motivation is her mother, who is currently going through chemotherapy treatment for colon cancer. “She’s fighting hard and that motivates me to fight hard for myself as well,” reveals Tweetii. I love the PumpUp workouts! It definitely was a major factor in my weight loss journey! My favorite exercises are squats, bicycle crunches, reverse crunches, calf raises, glute bridges, Russian twists and leg pull-ins. Be sure to follow Tweetii on PumpUp @tweetii and view her portfolio on her own personal website: www.tweetiitheartist.tk.